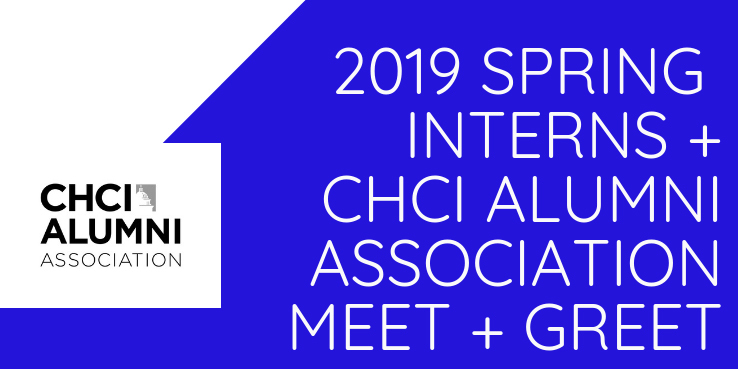 CHCI Alumni—come meet the newest cohort of 2019 CHCI Spring interns before they embark on their placements on The Hill. Special guest appearance by Voto Latino’s President and CEO, Maria Teresa. Beverages and light snacks will be served. Contact Chauntay Mickens, Manager of Alumni Relations, at cmickens@chci.org if you have any questions.